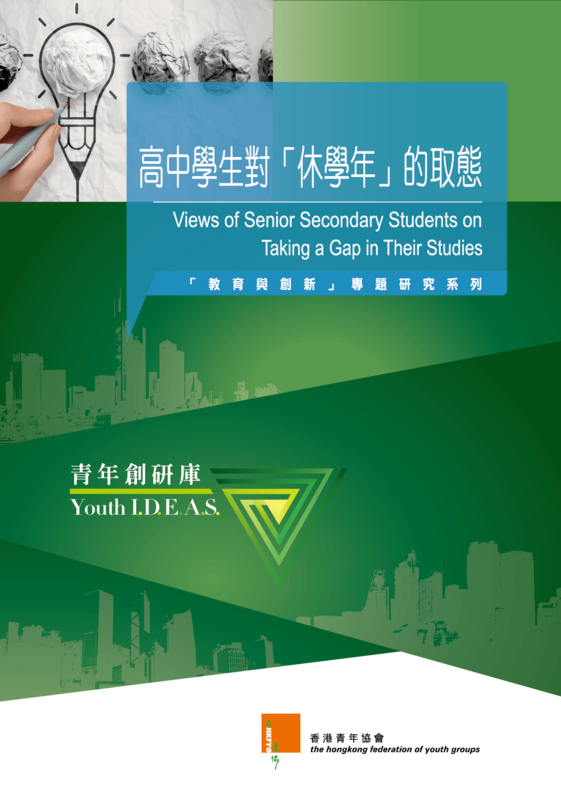 A survey on 905 S.4 to S.6 senior secondary students noted that they have positive views of gap year. Respondents believed taking a gap can broaden students’ horizons, improve their independence and help students find their life goals. They scored an average 8.10, 7.65 and 7.58 points respectively on a 0-10 scale, where 10 indicated totally agree, while 5 indicated “half-half”. If the Gap Year program was implemented in secondary school, 75.7% of the respondents said they would consider joining the program and 4.6% thought otherwise. Enriching life experience (62.9%) was the main reason of joining the program. However, afraid of delaying study (60.0%) was the main reason for not joining the program. More than ten percent (12.7%) of the respondents did not have a life dream and more than thirty percent (30.6%) found it hard to say or not clear. Major reasons for not having a dream included not knowing their own capabilities (56.2%), not having discovered personal interests (56.2%) and uncertainty about the direction of future development (41.1%). The study recommended a pilot Gap Year scheme organized for senior secondary students, a seat reservation mechanism for gap year participants within secondary and post-secondary institutions and propagandizing and popularizing the idea of Gap Year.